(a) The “Owner” is the Company, firm or person letting the plant on hire and includes their successors, assigns or personal representatives. (b) The “Hirer” is the Company, firm, person, Corporation or public authority taking the owner’s plant on hire and includes their successors or personal representatives. (c) “Plant” covers all classes of plant, machinery, vehicles, equipment and accessories therefor, which the Owner agrees to hire to the Hirer. (d) A “day” shall be 8 hours or if the day is a Friday it shall be 7 hours, unless otherwise specified in the Contract. (e) A “working week” covers the period from starting time on Monday to finishing time on Friday. continue until the plant is received back at the Owner’s named depot or other agreed location. part of the Contract or shall otherwise govern the relationship between the Owner and the Hirer in relation to the hire of any particular plant pursuant to the Offer and Acceptance. The Contract does not create any right enforceable by or purport to confer any benefit on any person not a party to it except that a person who is a successor to or an assignee of the rights of the Owner is deemed to become a party to the Contract after the date of succession or assignment (as the case may be). Acceptance of the plant on site implies acceptance of all terms and conditions herein unless otherwise agreed in writing. The Hirer shall be responsible for the unobstructed access and, unless otherwise agreed in writing, for unloading and loading of the plant at the site, and any personnel supplied by the Owner for such unloading and/or loading shall be deemed to be under the direction and control of the Hirer. Such personnel shall for all purposes in connection with their employment in the unloading and/or loading of the plant be regarded as the servants or agents of the Hirer (but without prejudice to any of the provisions of Clause 13) who alone shall be responsible for all claims arising in connection with unloading and or loading of the plant by, or with the assistance of, such personnel. hire in equal good order (fair wear and tear excepted). (b) The Hirer shall when hiring plant without Owner’s operator or driver take all reasonable steps to keep himself acquainted with the state and condition of the plant. If such plant be continued at work or in use in an unsafe and unsatisfactory state or environment, the Hirer shall be solely responsible for any damage, loss or accidents whether directly or indirectly arising therefrom. requested by the Hirer and returned on completion of hire. The Hirer shall at all reasonable times allow the Owner, his Agents or his Insurers to have access to the plant to inspect, test, adjust, repair or replace the same. So far as reasonably possible, such work will be carried out at times to suit the convenience of the Hirer. over, work on, or be transported over, including for the purpose of delivery and collection. (b) Where the hire is for lifting equipment, any sound timber or other material supplied by the Owner for use with outriggers/stabilisers is provided solely to assist the Hirer and expressly not to relieve him of his legal, regulatory or contractual obligations to ensure adequate stability of the lifting equipment under the imposed loading. When a driver or operator or any person is supplied by the Owner with the plant, the Owner shall supply a person competent in operating the plant or for such purpose for which the person is supplied and such person shall be under the direction and control of the Hirer. Such drivers or operators or persons shall for all purposes in connection with their employment in the working of the plant be regarded as the servants or agents of the Hirer (but without prejudice to any of the provisions of Clause 13) who also shall be responsible for all claims arising in connection with the operation of the plant by the said drivers/operators/persons. The Hirer shall not allow any other person to operate such plant without the Owner’s previous consent to be confirmed in writing. must be notified immediately to the Owner. Any claim for breakdown time will only be considered from the time and date of notification. (b) Full allowance for the hire charges and for the reasonable cost of repairs that have been authorised by the Owner will be made to the Hirer for any stoppage due to breakdown of plant caused by the development of either an inherent fault or a fault not ascertainable by reasonable examination or fair wear and tear and for all stoppages for normal running repairs in accordance with the terms of the Contract. or replacement of any tyre and the repair of any puncture. (d) The Hirer shall be responsible for all expense involved arising from any breakdown and all loss or damage incurred by the Owner due to the Hirer’s negligence, misdirection or misuse of the plant, whether by the Hirer or his servants, and for the payment of hire at the idle time rate as defined in Clause 25 during the period the plant is necessarily idle due to such breakdown, loss or damage. The Hirer is responsible for the cost of spares and/or repairs due to theft, loss or vandalism of the plant. The Owner will be responsible for the cost of repairs, inclusive of the cost of spares, to the plant involved in breakdown from all other causes. through causes outside the Owner’s control, including bad weather or ground conditions nor shall the Owner be responsible for the cost or expense of recovering any plant from soft ground. Each item of plant specified in the Contract is hired as a separate unit and the breakdown or stoppage of one or more units or vehicles (whether the property of the Owner or otherwise) through any cause whatsoever, shall not entitle the Hirer to compensation or allowance for the loss of working time by any other unit or units of plant working in conjunction therewith, provided that where two or more items of plant are expressly hired together as a unit, such items shall be deemed a unit for the purpose of breakdown. (a) For the avoidance of doubt it is hereby declared and agreed that nothing in this Clause affects the operation of Clauses 4, 5, 8 and 9 of this Agreement. (b) During the continuance of the hire period the Hirer shall subject to the provisions referred to in sub paragraph (a) make good to the Owner all loss of or damage to the plant from whatever cause the same may arise, fair wear and tear excepted, and except as provided in Clause 9 herein, and shall also fully and completely indemnify the Owner in respect of all claims by any person whatsoever for injury to person or property caused by or in connection with or arising out of the storage, transit, transport, unloading, loading or use of the plant during the continuance of the hire period, and in respect of all costs and charges in connection therewith whether arising under statute or common law. In the event of loss of or damage to the plant, hire charges shall be continued at idle time rates as defined in Clause 25 until settlement has been effected. under its own power with a driver supplied by the Owner. If the plant is involved in any accident resulting in injury to persons or damage to property, immediate notice must be given to the Owner by telephone and confirmed in writing to the Owner’s office. In relation to any claim in respect of which the Hirer is not bound fully to indemnify the Owner, no admission, offer, promise of payment or indemnity shall be made by the Hirer without the Owner’s consent in writing. The plant or any part thereof shall not be re-hired, sub-let, or lent to any third party without the written permission of the Owner. (b) more than three months from the commencement of hire, the Owner (but without prejudice to any of the provisions of Clauses 9 and/or 13) shall be liable only for the cost of reloading and return transport. (a) The Hirer shall render to the Owner for each week an accurate statement of the number of hours the plant has worked each day. signature of the Hirer’s representative shall bind the Hirer to accept the hours shown on the Time Record Sheets. negligence, subject however to the provisions of Clause 8 of this Agreement. (c) Breakdown time in respect of such periods shall be allowed for not more than 8 hours Monday to Thursday and not more than 7 hours on Friday less the actual hours worked. (f) In the case of plant which requires to be dismantled for the purpose of transportation, if the Owner agrees to a modification of the hire charge for the period required for assembling on site and dismantling upon completion of hire, such modification of the hire charge and the period for which it shall apply shall be stated on the Hire Contract. The full daily rate will be charged on a daily basis irrespective of the hours worked except in the case of breakdown for which the Owner is responsible, when the actual hours worked will be charged pro rata of the average working day. No hire charge shall be made for Saturday and/or Sunday unless the plant is actually worked. If no breakdown occurs, the full hire for the minimum period in the Contract will be charged and an additional pro rata charge will be made for hours worked in excess of such minimum period. Allowance will be made for breakdowns up to 8 hours except on Fridays when the allowance will be up to 7 hours providing always that where the actual hours worked are in excess of the minimum period less breakdown time, the actual hours worked shall be chargeable. Idle time for this purpose shall be treated as actual working time. The minimum week of 39 hours shall be reduced by 8 hours Monday to Thursday and 7 hours Friday for each day’s statutory holiday occurring in such week, provided that the plant does not work on the holiday. (a) The hire period shall commence from the time when the plant leaves the Owner’s depot or place where last employed and shall continue until the plant is received back at the Owner’s named depot or other agreed location but an allowance shall be made of not more than one day’s hire charge each way for travelling time. If the plant be used on day of travelling, full hire rates shall be paid for the period of use on that day. If more than one day be properly and unavoidably occupied in transporting the plant, a hire charge at idle time rates shall be payable for such extra time, provided that where plant is hired for a total period of less than one week, the full hire rate shall be paid from the date of despatch to the date of return to the Owner’s named depot or other agreed location. under Clause 16 for a period of at least 14 days. plant within the 7 days following the acceptance of short notice. Oral notice given by the Hirer to the Owner’s driver or operator shall not be deemed to constitute compliance with the provisions of this Clause. When the plant is prevented by prolonged inclement weather from working for a complete week, the charge shall be two thirds of the hire rate or such other idle time rate as is stated in the Offer. If the plant works for any time during the guaranteed hire period then the whole of that guaranteed minimum period shall be charged as working time. In any case no period less than one day shall be reckoned as idle time save for as provided for in clause 18(e). Where an “All-In” rate is charged, idle time is charged on the machine element only. Full rate will be charged for the operator. All chargeable items shall be paid by the Hirer at the rates contracted save that any subsequent increases before and/or during the hire period arising from awards under any wage agreements and/or from increases in the employer’s statutory contribution shall be charged as additions at cost by the Owner and shall be admitted and paid by the Hirer. Travelling time and fares for drivers, operators and any person supplied by the Owner, similar expenses incurred at the beginning and end of the hire period and where appropriate return fare of the driver, operator and any person supplied by the Owner to his home will be chargeable at cost. No charge shall be made by the Owner for any such expenses incurred by other employees of the Owner for the purpose of servicing, repair or maintenance of plant, unless necessitated by the Hirer’s negligence, misdirection or misuse of the plant. Fuel, oil and grease shall, when supplied by the Owner, be charged at net cost or an agreed estimate of net cost, and when supplied by the Hirer, shall be of a grade or type specified by the Owner. The cost of re-sharpening shall be borne by the Hirer. The Hirer shall not remove, deface or cover up the Owner’s name plate or mark on the plant indicating that it is his property. The Hirer shall pay the cost of and if required by the Owner, arrange transport of, the plant from the Owner’s depot or other agreed location to the site and return to named depot or other agreed location on completion of the hire period. The Hirer will be responsible for compliance with relevant regulations issued by the Government or Local Authorities, including regulations under the Factories Acts, Health and Safety at Work Act etc and observance of the Road Traffic Acts should they apply, including the cost of Road Fund Licences and any insurances made necessary thereby, save that if and during such time as the plant is travelling, whether for full or part journey from Owner to site and site to Owner under its own power with a driver supplied by the Owner, the Owner and not the Hirer shall be responsible as aforesaid. (b) If the Hirer make default in punctual payment of any sum due to the Owner for hire of plant or other charges or shall fail to observe and perform the terms and conditions of this Contract, or if the Hirer shall suffer any distress or execution to be levied against him or make or propose to make any arrangement with his creditors or becomes insolvent within the meaning of Section 113 of the Housing Grants, Construction and Regeneration Act 1996 or any amendment or reenactment thereof for the time being in force; or shall do or cause to be done or permit or suffer any act or thing whereby the Owner’s rights in the plant may be prejudiced or put into jeopardy, this Contract may forthwith be determined by notice from the Owner to the Hirer (notwithstanding that the Owner may have waived some previous default or matter of the same or a like nature). The Contract shall thereupon be deemed determined by reason of the Hirer’s breach and it shall be lawful for the Owner to retake possession of the said plant and for that purpose enter into or upon any premises where the same may be and the determination of the hiring under this Condition shall not affect the right of the Owner to recover from the Hirer any monies due to the Owner under the Contract or any of the Owner’s rights and remedies. In particular, without limitation, the Owner shall be entitled to claim the hire charges outstanding as at the date of determination of the hire under this clause, return transport charges under clause 31, and damages for the Hirer’s actual or deemed breach of the Contract under this Clause. (b) the Contract being made with reference to a 5 day week of other than 39 hours. Clauses 1(d) and (e), 18(c) and (d), 20 and (in regard to breakdown allowance and reduction for statutory holidays) 21 shall be deemed to be modified conformably and in the event of an alteration in the normal weekly working hours in the said industry the “Hire Rates and Terms” of plant hired for a minimum weekly or daily period shall be varied pro rata. Contract shall in all respects be construed and operated as a Scottish contract, and shall be interpreted in accordance with Scots law. If the original site is in Northern Ireland, the proper law of the Contract shall be Northern Ireland law. paragraph” shall be deleted and “paragraph 20” substituted. enforcement (and/or, under Scots law, shall consent to a motion for summary decree and submit to enforcement) in respect of all such decisions; in each case, without any defence, set-off, counterclaim, abatement or deduction. Where, under Scots law, the Owner, the Hirer, or the adjudicator, wishes to register a decision of the adjudicator for execution in the Books of Council and Session, any other party shall, on being requested to do so, forthwith consent to such registration by subscribing the decision before a witness. 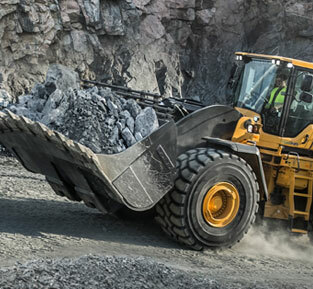 Suppliers of Used Plant Machinery, Cat, Caterpillar, Bulldozers, Loaders, Articulated Haulers, Leibherr, Volvo Excavators and more!